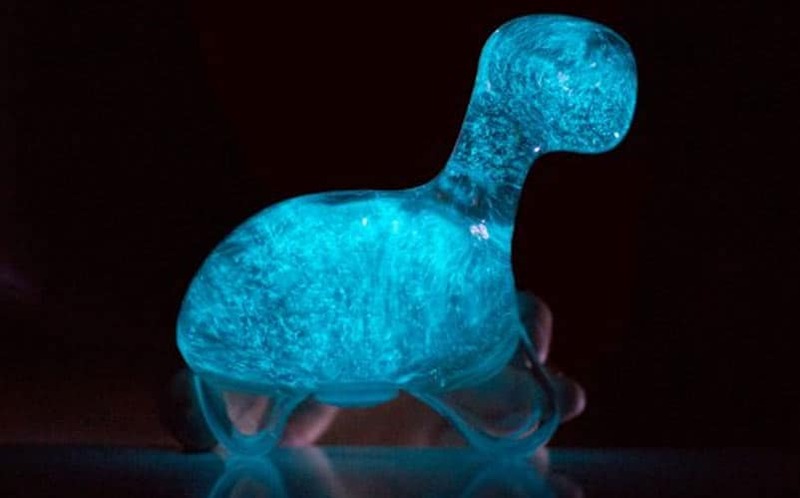 Dino Pet Micro Aquarium with Bioluminescent Algae | Nerd Much? One of nature’s coolest displays comes from bioluminescent algae, which releases a seemingly magical glow. Now, you can hold that glow in the palm of your hand with the Dino Pet. The Dino Pet looks ordinary during the day, as it photosynethesizes in sunlight. But at night, it glows brilliantly with an alluring blue light which is created by its dinoflagellates (now the Dino in Dino Pet makes sense). There are over 2,200 different species of these single-celled plankton in our waters. We’re not sure how many are contained in this glowing bit of awesomeness, but we just thought we’d share that fact. The Dino Pet is far more than a cool toy, as it works more as a contemporary living art piece, biological magic trick and conversation starter, as well as a science lesson for those that ask “how does it glow like that?” The answer? Boom! Science! Stay tuned to Nerd Much for more Cool Stuff you don’t need to buy.